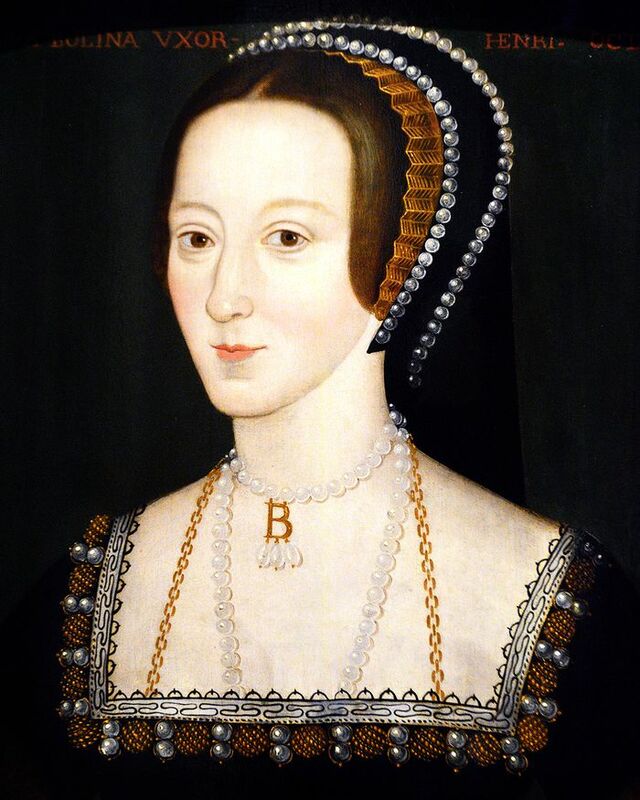 If you connect the dots of this year's biggest trends—a paint-by-numbers of fashion's major moments if you will—you'll find yourself painting Anne Boleyn's most-famous portrait. Pearls? Check. Initial necklace? Check. Headband? Check. At some point, did we all have this image pinned on our collective style mood board? Has our royal style nostalgia gone too far back in time? Perhaps Meghan Markle's rising star in the royal family harkens back to other "rebellious" royals, like Princess Diana and… Anne Boleyn. Regardless, it is undeniable that Queen Anne's signature look has permeated through time and onto our Instagram feeds this year. Keep scrolling to see how Anne Boleyn's style has influenced style in 2018. Style Notes: Between the multiple royal weddings and the resurgence of '80s trends, the massive headband was bound to make a comeback. The only next step would be wearing a crown. Let's circle back on that next year. This trend came into play midway through the year and will continue to rage on in 2019. And if the Prada one isn't exactly in your budget, there's a great shop selling the perfect velvet one on Etsy. Style Notes: While Celine is responsible for the popularity of the pendant necklace in 2018, it is our dear Anne who is the OG initial necklace queen (pun intended). Style Notes: After seashells, pearl slides (specifically, Simone Rocha's, and now Shrimps's pearl slides) were the most dominant accessory trend of the year. From Alexa Chung to Laura Jackson to every person at fashion week, they were everywhere.